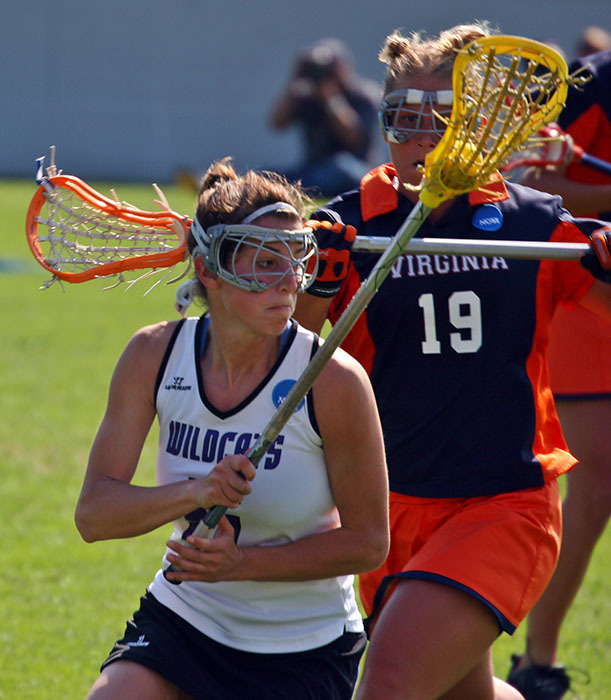 2005 NCAA Women’s Lacrosse Championship – Virginia Cavaliers vs Northwestern Wildcats. The players wears goggles, but no helmets. Via Wikipedia. /wiki/Women’s_lacrosse. Women’s lacrosse can’t escape the helmet debate. The female version of the game does not allow body checking; only “stick to stick” combat. Other rules also vary from the men’s game. Nevertheless it’s a discussion that doesn’t ever seem to fade away. Some people from the local or nearby lacrosse world have decided to give their two cents. Lacrosse is a “close to home” sport for Worcester residents. Both young boys and young girls can participate in “Bandits Youth Lacrosse”, which serves Worcester, Mass and Auburn, Mass. “Bandits Youth Lacrosse” official website. Note: May not be updated. Brian Crowley, 43 is one of the coaches from “Bandits Youth Lacrosse”. Crowley was the assistant coach for the girl’s lacrosse U13 team in 2014, and will be the assistant coach for the girl’s lacrosse U15 team in 2015. He also sits on the board for the program, and is the head coach of the U13 boy’s team (for 2015). “I have been involved with Bandits Youth lacrosse for 5 seasons as a boys coach, and [I’m] coming into my 4th season as a girls coach,” said Crowley. “Bandits Youth Lacrosse” is not the only sideline experience for Crowley. “In ‘95 I helped create a Woman’s lacrosse club at UMass Dartmouth that is now a varsity program,” said Crowley. Crowley has also been on the other side of the field. “I played lacrosse at Medford High (Massachusetts) [from] ‘87-‘89. Played at Merrimack College in ‘91. Played at UMass Dartmouth, after the army, from ’93-‘96,” said Crowley. In 2004 Crowley began playing year round again. While the Bandits have not discussed helmets very often, Crowley has had conversations with fellow (adult) players about (women’s) helmet experiments gone wrong. 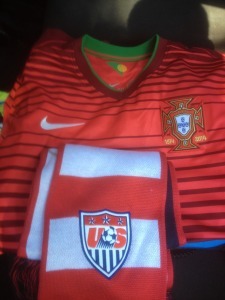 “… I play with a ton of guys who coach, in both boys and girls programs from youth to college. In those discussions, throughout the years, we talked about…a period of time where some programs experimented with women wearing helmets. …Same helmets as the men wore at that time. The “experiment” stopped, because the game was becoming more of a contact sport like the men’s version, rather than the speed and finesse of the woman’s game,” said Crowley. Crowley also worried about the reaction from such a big rule change. “In my opinion all changes are met with resistance, especially by ‘the old guard’, but if the leagues (there are different ages and levels) can find a way to institute a rule for safety, but keep the level of contact allowed today, then it would be a good thing,” said Crowley. There is one position however, that already requires a helmet. The same helmet from the men’s game. 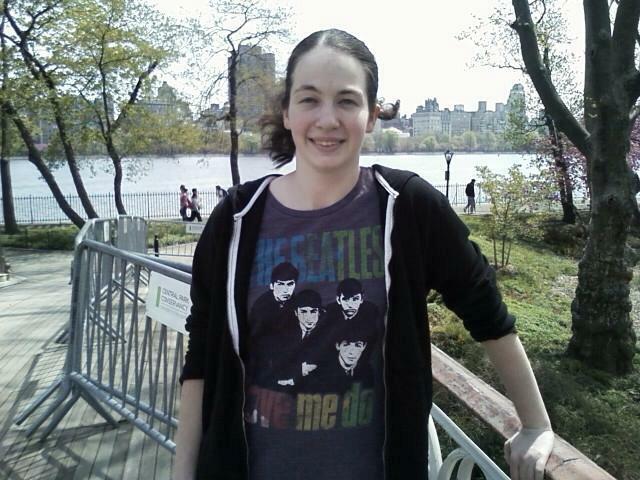 Elizabeth Tomasco, 21, of Connecticut, played women’s lacrosse in high school. 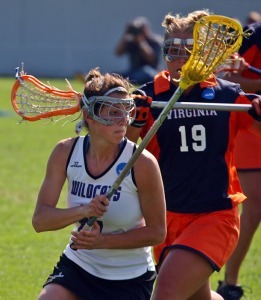 ”I wore a helmet to play girls lacrosse since I was a goalie for one or two seasons. A helmet was essential for a goalie but not much so for other players,” said Tomasco. The helmet also came off, as Tomasco played different positions. “I also wore goggles as a defensive wing and defender. “Goggles protected my eyes but they don’t protect your entire head if a ball were to accidentally hit you,” said Tomasco. There were some trade-offs from wearing a helmet, but only in goal did Tomasco seem to cherish the idea of a mandatory helmet. “As a goalie I felt that helmets decreased my peripheral vision, but it did prevent a few concussions as a result of a ball being shot at my head,” said Tomasco. Like Crowley, Tomasco had also heard of women’s teams with a mandatory helmet rule. “I heard that a New York girl’s team wore helmets, and that the number of concussions increased, because the girls felt more invincible on the field,” said Tomasco. Tomasco was only open to helmets if the contact rules changed. “If the game were to become more physical then there may be a need to protect…the head,” said Tomasco. Metzger felt the same way. “If the sport were to become more aggressive then helmets would be necessary,” said Metzger. For the time being female players should be safe from concussions, if the game is played correctly. 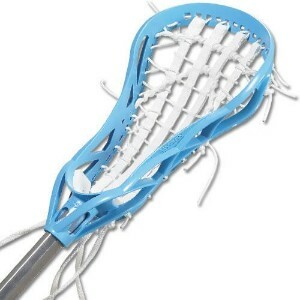 “Where the rules of women’s lacrosse stand today, there is not a necessity for helmets,” said Tomasco.